This story was corrected on Sept. 25 at 12:28 p.m.
First Responders of Erath County traveled down to the coast to donate goods such as food, diapers, socks and all kinds of non-perishable items to those affected by Hurricane Harvey. 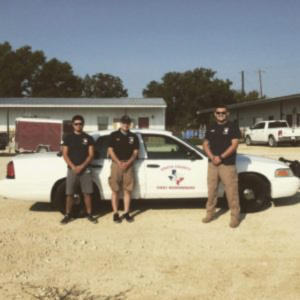 Erath County First Responders drove down to the Houston area to help the victims of Hurricane Harvey. Photo courtesy of Ryan Drake. Texans from across the state, musicians from across the country, the United States Military and first responders everywhere came together to save people from their homes, gather much needed items and raise hundreds of thousands of dollars. The people of Erath County also stepped up to go help their fellow Texans down south as well.